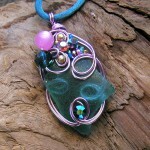 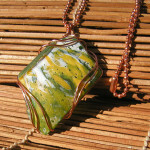 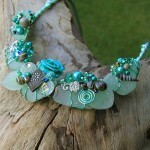 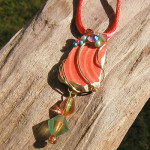 Andria Serendipity glass jewelry is like you’ve never seen glass. 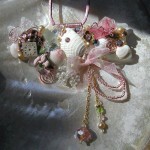 British artist Andria Serendipity is a designer by profession, but her passion is perhaps more interesting than the main work. 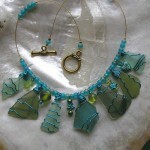 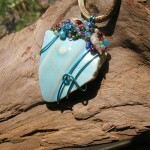 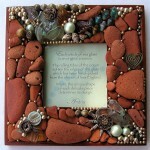 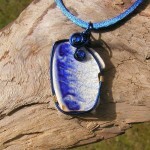 Andria creates fabulous jewelry decorations from the glass thrown out by the waves on the coast of New England. 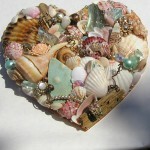 Finding maritime treasures, Andria already knows how to use them. 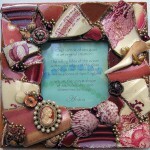 In fact, such beautiful and creative work is very relaxing and therapeutic. 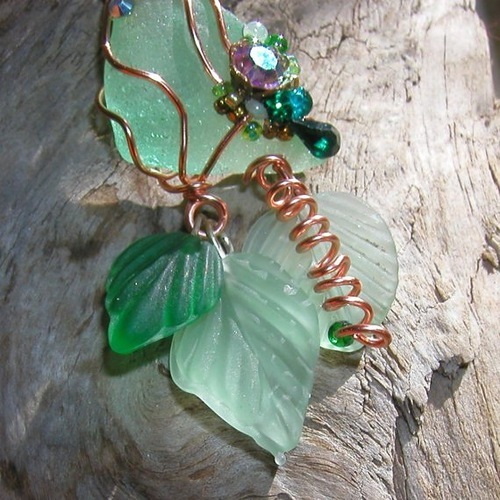 In addition, Andria is proud of making contribution to the preservation of the environment by cleaning the coastal zone from the glass and porcelain. 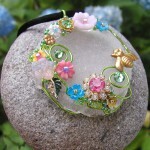 Meanwhile, she frames each piece of glass of brilliant color with wire. 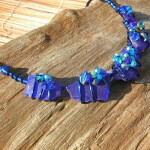 Also, Andria uses natural materials – crystals, glass beads, beautiful and different in shape and size shells, fin, sparkling rhinestones, curled tendrils of the vine, and even a small crab. 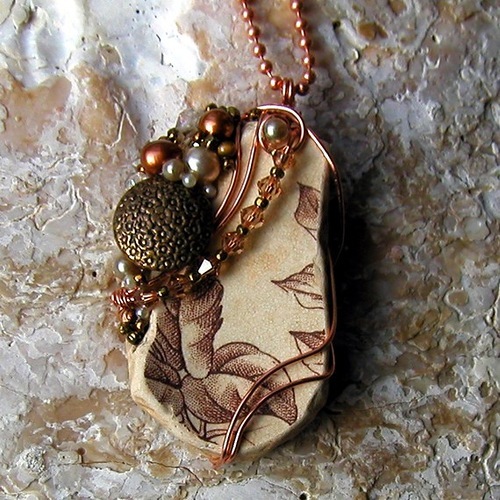 Taken together, covered with lacquer they have become a unique piece of jewelry art. 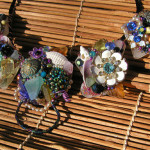 Noteworthy, each jewellery decoration which she sells online, has an attached Certificate of Authenticity.